Ready to dive into the world of Twitter marketing? Our guide will show you how to make the most of Twitter for your small business. Nowadays, having a presence on social media is a marketing necessity. When brands have a social media presence, they are positioning themselves in front of customers, and it’s clear that this actually has an impact. It has been found that 46 percent of web users look to social media before making a purchase, and 67 percent of Twitter users are more likely to buy from brands they follow on Twitter. That being said, establishing a marketing strategy for Twitter can be daunting, especially as a small business. 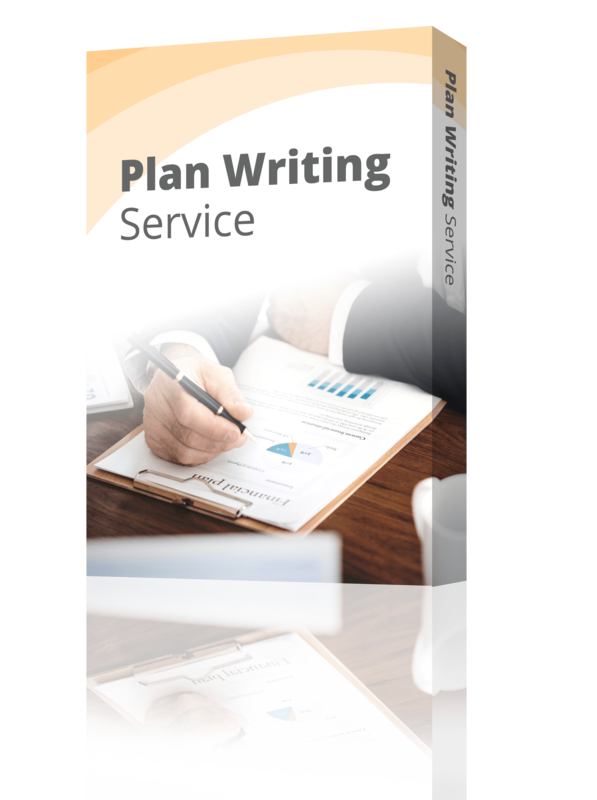 However, while it requires a bit of planning, it doesn’t have to be an intimidating endeavor. 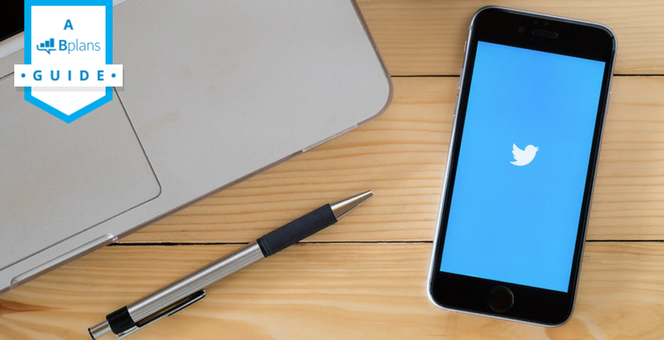 This guide will walk you through the process of creating a Twitter marketing strategy for your small business in order to expand your business’s reach, add to your branding efforts, and grow your business overall. Before you begin the process of setting up a Twitter account for your business, determine who you will be targeting. Who are your existing customers? Who do you want to target with your marketing? Get a sense of the demographic and psychographic details of your customer base. What this essentially entails is market research. By doing market research, figuring out your target market, and creating a user persona, you’ll be able to get a clear sense of who your existing customers are, as well as paint a picture of who you’d like to hone in on. For the purposes of illustrating this and several other points, let’s create an imaginary business: Sunshine Sweets, a boutique cupcake shop. 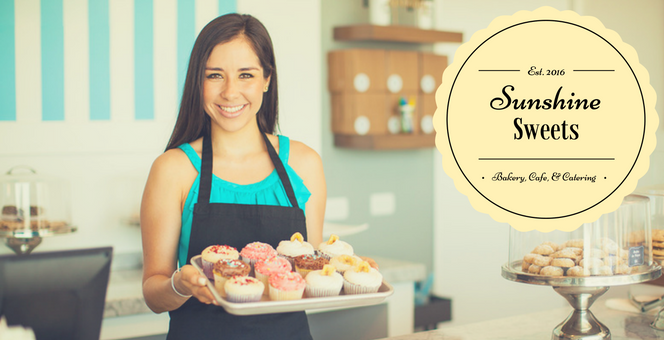 Our case study small business: Imaginary bakery Sunshine Sweets. Sunshine Sweets is located in an up-and-coming neighborhood, populated mostly by young couples and professionals. Based on their market research, they’ve determined that their customers are mostly women between the ages of 25-35, who make an average of $60,000 annually, live within a 10-mile radius, and are likely to be married with children. They can use this information to create a persona, giving her a name: Sally, a 32-year-old Project Manager. She’s married and lives in the neighborhood, and has two young children. She enjoys coming into the cupcake shop to buy herself and her children a treat, and also occasionally buys a box of cupcakes for the office or a party. Sunshine Sweets could continue to flesh out more information about Sally (her hobbies, favorite stores, social media preferences—the details are endless) which would give them a clear idea of who they are targeting with their Twitter content. Once you’ve got an idea of who you plan on targeting with your Twitter account, it’s time to officially set it up. Creating a business Twitter profile is very straightforward. In fact, Twitter has its own step-by-step guide of how to set your profile up, so make sure to check that out. To start, simply log onto Twitter, and sign up. Ideally, your username or Twitter handle should be your business’s name or some very close variation of it. Try to get a Twitter handle as close as possible to the name of your business; for Sunshine Sweets, @SunshineSweets would be the ideal choice. However, if @SunshineSweets was taken, @Sunshine_Sweets, @SSweets, @SunSweets, and various similar iterations would be acceptable. You want your customers to be able to find you easily and connect your Twitter presence with your business. Your profile image should represent your business, whether that be a picture of your product, your storefront, or a professional headshot. Your header image offers a little more flexibility and is a great place to showcase your offerings in more detail. Twitter header images should be 1500×500 pixels, and you can read more about the process of adding your Twitter header here. If you’d rather do a little more than simply upload an existing image, Canva is also a great place to design your Twitter header—they have a built-in template that will help you create one, as well as any other social media images you could wish for. Who you follow on Twitter will depend, to an extent, on your industry. For example, Sunshine Sweets could follow other local businesses, key influencers in the city they are located in, influential bakery accounts and other tastemakers in the food industry, and their own customers. If you’re at a loss for how to find people to follow, here are some recommendations. The next step is making it easier for people to find your Twitter account. You can do this by adding Twitter buttons to your website or blog, and adding links to your Twitter profile (or simply your Twitter handle) to any other social media accounts you already have. You can also add your Twitter handle, a link to your account, or a Twitter button to your email signature. To add buttons for your Twitter account to your website, check out Twitter’s guide, and for more detail (and information on how to add a button to your email signature), this article should help you out. In addition to adding Twitter buttons to your website, you’ll want to let your existing customers know that you’re on Twitter so that they can find and follow you. Do this by sharing information about your new Twitter profile on your existing social sites, sending out an email newsletter to your customers, and even creating in-store signage to let customers know in person. You could even use this as a chance to develop an early-stage promotion strategy, and encourage your customers to follow you on Twitter by offering some kind of incentive. For Sunshine Sweets, this might look like asking customers to follow them and retweet a specific tweet in order to get 20 percent off their next purchase. It’s time to get into the weeds here and discuss what you actually plan on posting on your new Twitter account. 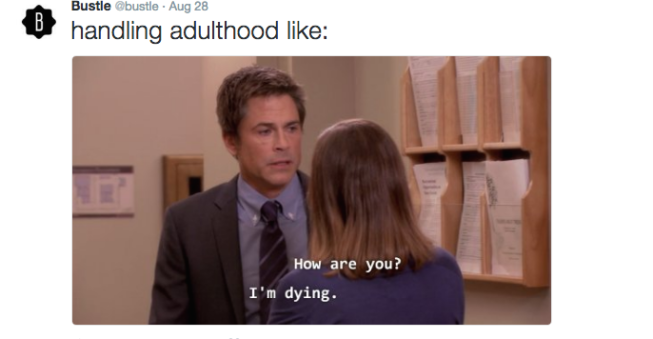 Twitter, like Facebook, is a platform where multiple types of content are encouraged. A varied content strategy is ideal and will help keep your Twitter presence interesting and engaging. Here are a few of the types of content you could post, using the example of Sunshine Sweets to illustrate what each one could look like. Obviously, Twitter serves as a great platform for updating your customers about any goings-on within your business. For example, Sunshine Sweets could use Twitter to share information about upcoming special events or promotions, and list timely information like the day’s cupcake flavors. Another important aspect of marketing your business on Twitter is positioning yourself as an authority in your industry. This involves sharing information relevant to your industry, by retweeting articles, news stories, or other content from thought leaders. If filled cupcakes are the new bakery trend, Sunshine Sweets could retweet an article that highlights this trend, perhaps with a mention that they also carry this kind of cupcake! Twitter is a great place to highlight your product or service visually, and having a mix of both visual and written content is a good way to make your Twitter profile more interesting to follow. If you have a visually appealing product, posting pictures of the product itself is a natural move. You could also highlight your product as used by your customers, post pictures of any new inventory, and share pictures of your business and staff. Naturally, Sunshine Sweets could share drool-worthy cupcake photos regularly! Who wouldn’t want a cupcake after seeing this on their Twitter feed? As with photos, videos are a great type of content to share on Twitter. This doesn’t necessarily mean you need to launch headfirst into vlogging (though I’ll cover using YouTube to market your small business in a later article), but short clips add interest to your Twitter feed. If Sunshine Sweets filmed a clip of one of their bakers frosting and decorating a cupcake, this would be a cute addition to their Twitter. Twitter is a perfect place to share links to the content you’ve created for other platforms, such as any blog posts you have written for your blog. This serves the dual function of driving your audience back to your website, and at the same time positioning you as a thought leader in your industry. Plenty of Twitter accounts regularly retweet amusing photos, GIFs, or tweets to share with their audience, which can cultivate a playful image (if done correctly). You’ll have to evaluate for yourself if this type of content is “on brand” for your business. Ultimately, it comes down to the type of brand image your business seeks to cultivate, but this type of content is another option to add to your rotation, and it can potentially help inject some levity into a business’s image, and make you appear more relatable. Using hashtags to increase the visibility of your Twitter content is a good idea, so it’s important to get a clear understanding of how hashtags work. Essentially, hashtags are a word or phrase preceded by the pound symbol (or hash symbol if you speak British English!). This turns the chosen word or phrase into a searchable link, which allows other people to find your post. So, focus on determining what hashtags are relevant to your business and the content you are posting, and use them accordingly. 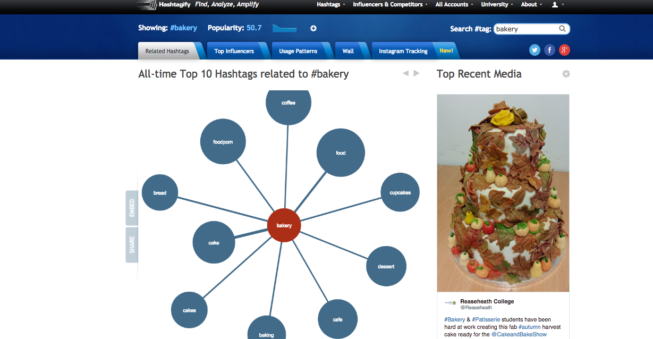 Sites like Hashtagify work to help you find clusters of similar hashtags that you can take advantage of, and it might also be worth your while to keep an eye on trending hashtags, to see if any fit your content. For example, Sunshine Sweets might start with the hashtag #bakery, and type this into Hashtagify. They’d also find that #food, #baking, #cakes, and #cupcakes are other related hashtags that they should take advantage of. An example of the hashtags suggested by Hashtagify. While creating a strong Twitter presence helps strengthen your brand image overall, the ultimate goal of Twitter marketing is to help grow your business. At the end of the day, that means driving people back to your website or into your store, where they will buy your product or service. This means that while plenty of your content can be focused on building your brand image, a good portion of your content should lead to some action on the part of your audience, such as downloading an ebook, clicking through to your site to buy a product, or coming into your store. What this looks like will, of course, differ greatly depending on your business. So, we’ll turn again to Sunshine Sweets. 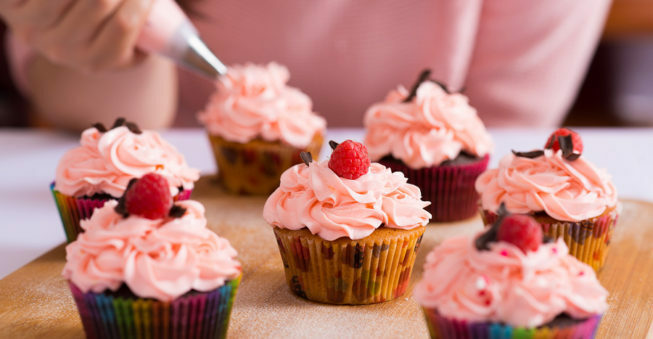 While the bakery wants to establish itself as a fixture in their community and create content that demonstrates their fun, youthful brand image, the ultimate goal is to encourage more customers to come into their shop and purchase cupcakes. This means that in addition to sharing content from industry leaders and fun photos, Sunshine Sweets should also tweet regularly encouraging customers to come down and buy a cupcake, stating their hours, featuring daily specials, or even creating promotions specifically for Twitter followers. As you continue to grow your following, you’ll also be focused on growing who you follow. When you follow a wide variety of accounts on Twitter, you’ll be exposing yourself to great content that you can potentially share with your followers, countless networking opportunities, and plenty of new potential customers. As just demonstrated, the accounts you follow will start to subdivide themselves into categories. By using Twitter’s list feature, you can divide up who you follow, which both makes your Twitter experience more organized and can help you market certain content to certain people. For example, Sunshine Sweets might create a list of influencers, including industry leaders like Bon Appetit, NYT Food, or Magnolia Bakery. They could easily refer to this list when they want to retweet a fun or useful article for their followers. Not only that, but they could also keep a private list of their customers, where they could monitor activity to get a sense of customer habits, likes, wants, and general behavior. Twitter lists are ultimately what you make of them. They aren’t an inherently marketing-focused tool, but they can be great for organizing your Twitter feed, making it easier to source content and keep an eye on your customers and on the competition. It’s important to realize that for a Twitter marketing strategy to be effective for your small business, you’ll continually be fine-tuning the process. This means that once you have an idea of what kind of content you want to create and put on Twitter, you should also create a plan for how to measure its success. This means everything from measuring how effective individual types of content are, to keeping track of which types of tweets actually result in increased sales. You may find that while you thought your customers would love the funny posts you retweet, they’re actually more interested in photos of people using your product. You’ll also want to keep track of the ways in which your Twitter marketing actually impacts sales. Say Sunshine Sweets decides to run a promotion via Twitter, letting customers know that if they come in that afternoon and say a special phrase, they’ll receive half-off their purchase. They’re determined to track the efficacy of this promotion, so they keep a close eye on sales and how many people used the phrase that afternoon, to see if the promotion had an impact. Without monitoring this, they’d never know how effective (or ineffective) their Twitter marketing actually was. Here at Bplans, we currently use True Social Metrics and Google Analytics for the majority of our social media monitoring. It’s also worth mentioning that Twitter allows you to view analytics for your page, so check those out as well—you’re sure to learn something valuable. You’ll also want to check out our article, 20 Marketing Tools Every Small Business Owner Should Try, for more marketing tools we love to use. Measuring the Success of Twitter Marketing, Part 1: Which Metrics? So, now you have a broad overview of how to use Twitter to market your small business. While the world of Twitter marketing is vast, following these steps should set you on the path to creating a marketing strategy that works for your business. Is there any area of Twitter marketing that you’d like me to flesh out in more detail? Let me know on Twitter (naturally)!